There’s no shortage of email in the world. Despite email being one of the oldest forms of online marketing we still find incredible value when reaching an inbox. But while email’s importance and targeting has improved, the clutter has increased. Here are 5 simple ways to stand out in your email marketing campaign. The Pew Research Center found that the use of phones to read email doubled between 2009 and 2013, and the November 2014 Ericsson Mobility Report estimates that smartphone subscriptions and traffic per phone will have respective annual growth rates of 15% and 25% until 2020. 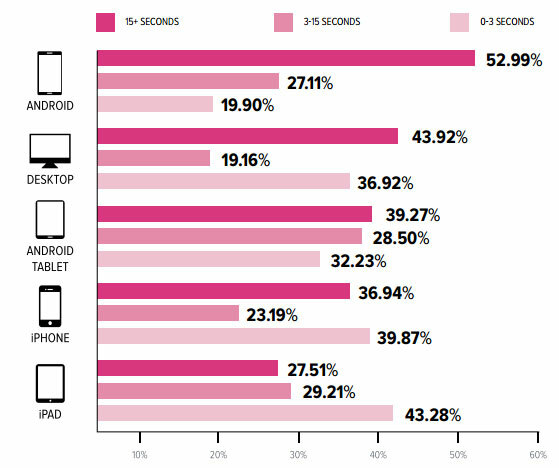 The importance of mobile-ready creative is key. MailChimp says its”responsive email templates get higher click rates on all devices.” Use responsive design to allow an outstanding User Experience no matter the screen size. The worst result for any business is to send an email marketing blast to a user who is ready to engage only to have formatting issues on the screen. You may never get this customer back to your site or engage with your products or services. Use a short, concise subject line. The subject line is what drives the interaction with the email. You need to tell the user why they should open the email in as few words as possible. Also, use attention-grabbing headlines and explain the benefits quickly. A picture says a 1,000 words and a video says 10,000. Instead of explaining all the benefits of your business have a video embedded that says something like, “Click to get the experience” or another applicable call to action. Because so many people view emails on their phones and more video is consumed on mobile devices every day, you can utilize a responsive design with photos and video to convey your overall message effectively. If you’re using an internal email marketing database already you probably acquire the list from 1st party data, or your current customers. A great way to build your internal database is to utilize 3rd party email marketing programs, such as the one through RiverTown Multimedia. Your current CRM database will tell you a lot about people most likely to be your customers. Target a 3rd party email program to”Like” customers, or those similar to your target audience and most likely customers. You can also look at Social Media data to understand who is most likely to engage you on Facebook, Pinterest, Twitter, etc. Your data is useful. Put 1st party and 3rd party data to enhance your current program. Give me a reason to subscribe to your email list. This can include exclusive offers, unique information or events, or discounts prior to non-subscribers. Other ways to provide value would be with market information, educational tidbits or things that improve your customers’ lives. Appliance dealer customers may want to know about kitchen design. Let your auto customers know about upcoming manufacturer incentives. Another great value proposition is showcasing your image. Have fun with email. People like to feel good and see other people smiling. Although it may not be the feature of an email send make sure you convey how incredible your business is. Email should be a component of your entire marketing plan. It should not be seen as a one-off project with unique messaging. If you have a YouTube channel embed a video in your creative. Want to boost Facebook likes? Provide an incentive within your email for customers to like your page. Email marketing is a great opportunity to reach an engaged audience with a goal of increased engagement, content distribution, social enhancement, and lead generation. If your subject line is good and the user opens the email you have their attention, probably moreso than any other digital space. The chart below outlines why email is so valuable…people spend time reading it. You have the users’ attention. Take advantage of it. Email marketing can be as complicated or simple as you want it to be. RiverTown Multimedia offers two different email marketing solutions to best fit your needs and budget. But these 5 tips should get you started or help adjust your current plan to make it more effective. Email is a wonderful solution and should probably be incorporated in most campaigns.